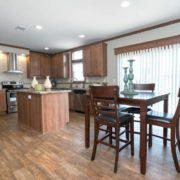 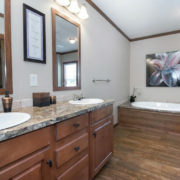 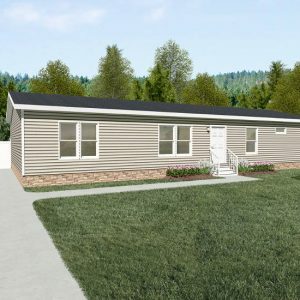 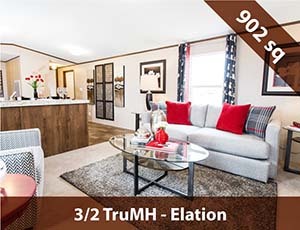 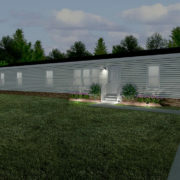 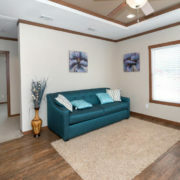 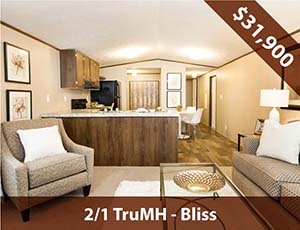 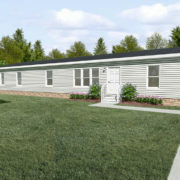 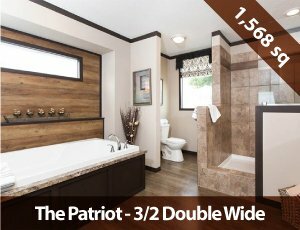 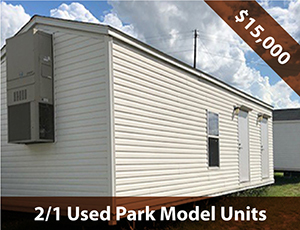 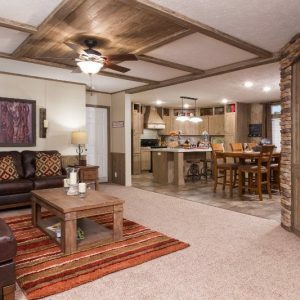 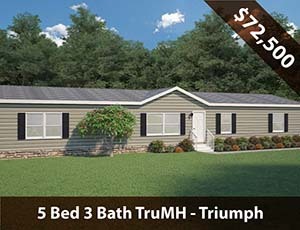 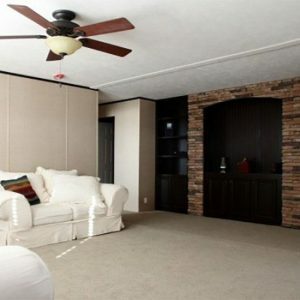 Model Details: This large 3/2 (or optional 4/3) double wide mobile homes has a huge master bedroom and two large regular bedrooms suitable for anyone wanting room to spare in a home! 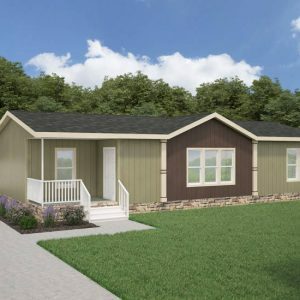 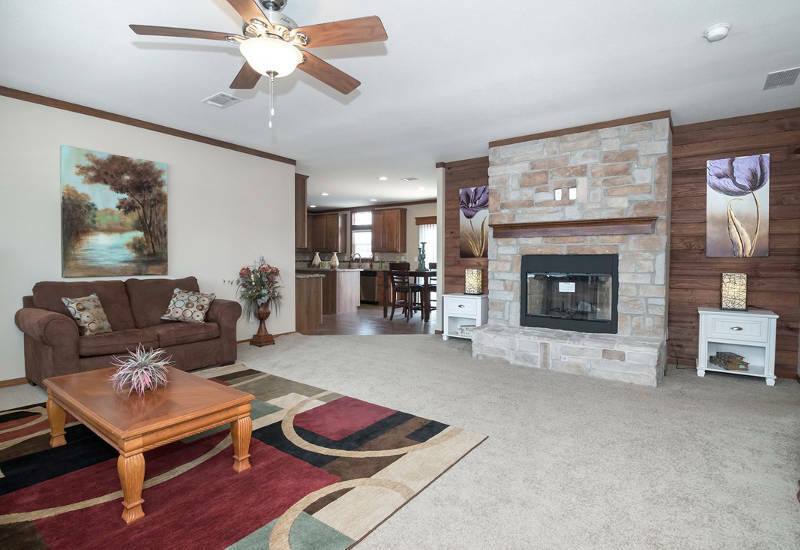 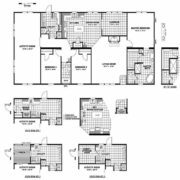 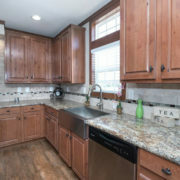 This model has a spacious floor plan for the kitchen, dining room and living room, as well as a large master bath and master bedroom that can’t be beat for size. 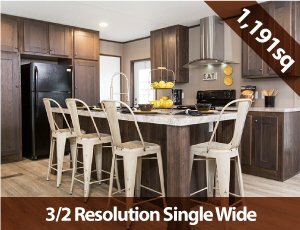 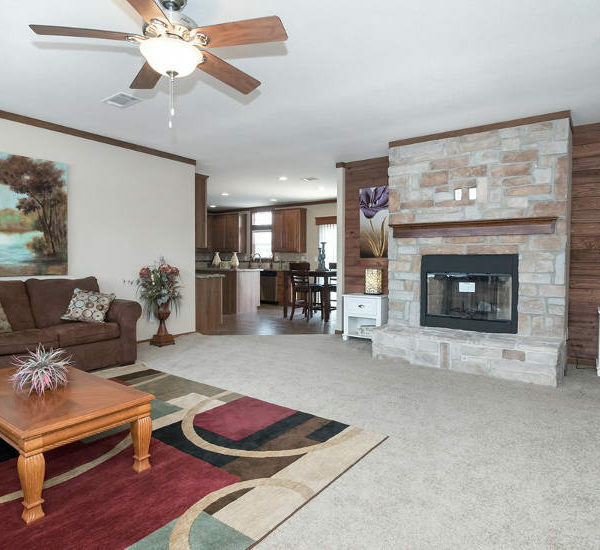 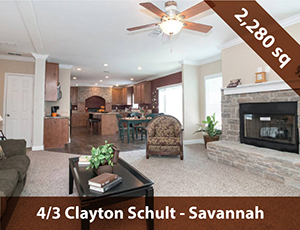 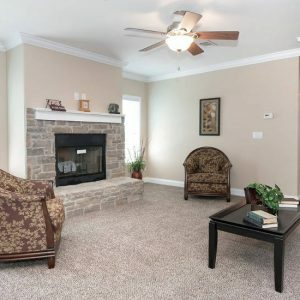 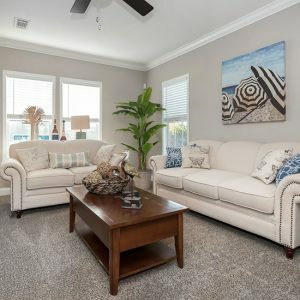 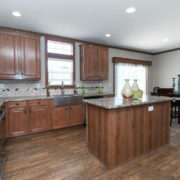 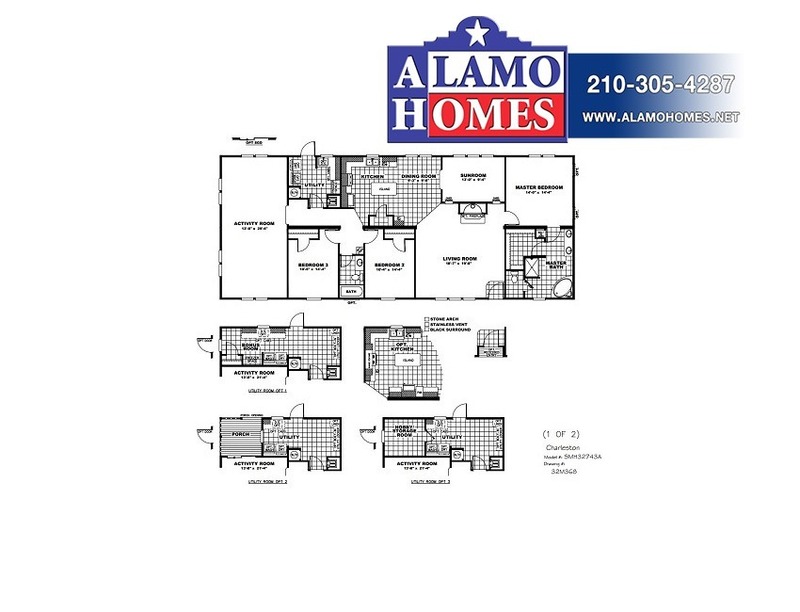 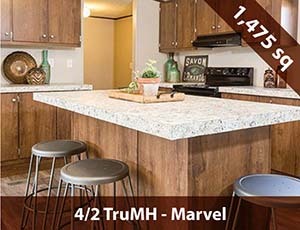 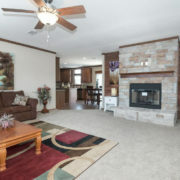 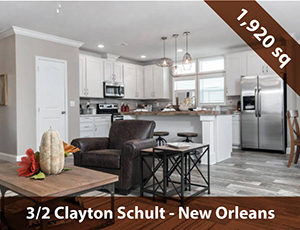 Call or contact us today to come see this model!